Jiufen and Jinguashi - weekday mornings are the time to be here! I'd never seen this place so empty before. 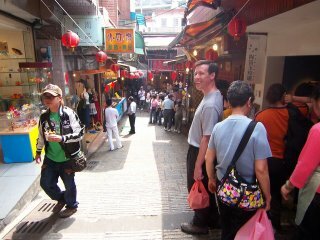 Ron, Romilly (a former housemate of Rodger's and mine), Rodger and I took a taxi up the mountain and spent the better part of a day hiking around in the sunshine and then shopping in Jiufen.